When I first came to Wheaton as a professor, I found myself in Chicago at a Poetry Foundation event. As the snow gently fell outside the postmodern architecture, a poet took the stage and recited beautiful, nearly hypnotic verses about his loss of Christian faith. If there were Christian students in the room (and there were), they might have concluded that there was no place for serious faith in the world of high poetry. And then the next reader took the stage. 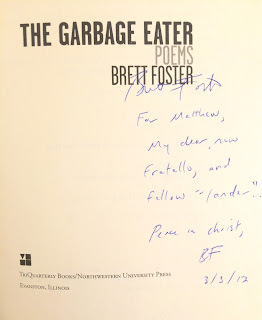 Brett gave an equally sophisticated, equally beautiful reading of his own work, poems that of course were not about the loss of Christian faith, but which were gently and subtly infused with it. Whereas the first poet had described how a romantic escapade had drawn him away from Jesus, Brett concluded his reading by proudly gesturing to his wife Anise, son Gus and daughter Avery who had come into town to support him. The upshot is that if those same Christian students stuck around (and they did), they could conclude that the world of high poetry was exactly the place where a Christian needed to be. "Lander" is Brett's code for anyone who would join him on countless ventures to go to land at a coffee shop to get some work done (which never got done). There were lots of those trips, and I don't regret a one of them. But the word that strikes me most now is fratello. As ever with Brett, it was the perfect choice. 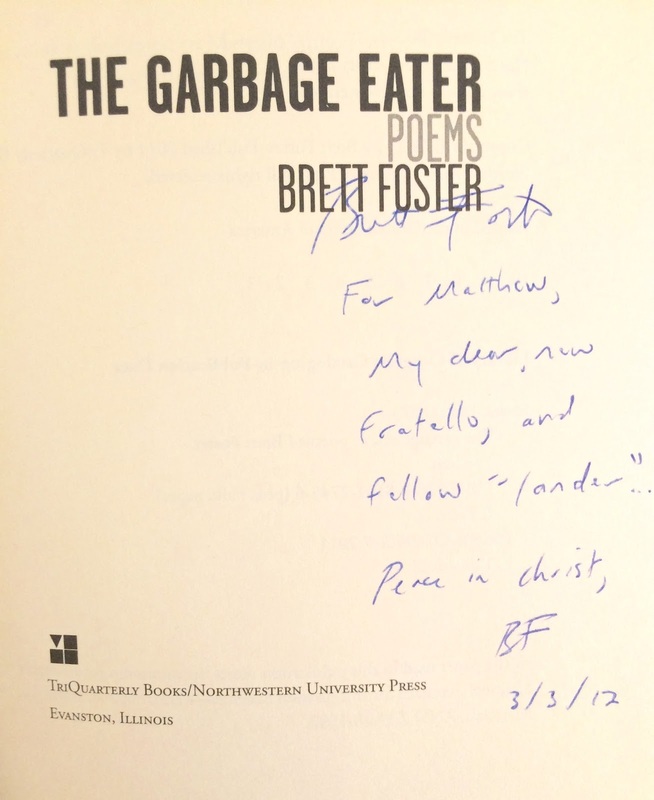 Italian for brother, it conveys that notion, but also evokes a brother in a religious order. It can feel that Wheaton professors - men and women both - are in something of a bizarre religious order; and if so, it feels this week like we lost our Abbot. 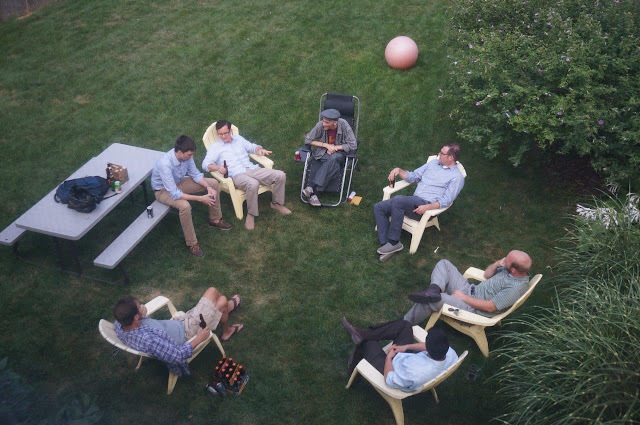 Photo taken by Heidi Long on the occasion of one of our last get-togethers.